Nowadays there are numerous of email platforms available in the online market. Each organization utilizes the one, which suits for its management, ease as well as in budget. However, with the time, when they face for the requirement of the better platform then, they need the platform. Likewise, Thunderbird is free as well as open-source emailing platform. It is ideal for small businesses as well as personal mailing purposes. However, if we talk about mail migration then, it is a boring task, as it needs proper work planning and investment as well. Moreover, if they need to move a large amount of data then, there are the chances of data loss as well. Therefore, one organization should make sure that it executed the data transfer in the safest as well as in an accurate manner. In this segment, we will discuss the various ways to execute Thunderbird to Office 365 migration. Why to Convert Mozilla Email Client into Outlook 365 only- A Big Question? Office 365 is a cloud-based application, which is offered by Microsoft. The web-based clients are extremely good in offering unlimited data storage as well as platform independence. 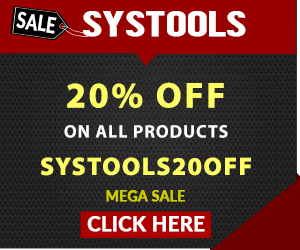 It benefits users as it can be accessed anytime and from anywhere easily. Moreover, MS Office 365 comes up with complete Microsoft suite in it, which includes Exchange, Outlook, PowerPoint, Word, etc. It helps users to manage the data easily ay one place only. These are the main reasons to choose MS Office 365 over Mozilla. Other in other words, we can say that to choose cloud-based over desktop-based. "Our client was using Mozilla email client from last few years for all the official purposes. But, now he want to migrate all the Thunderbird accounts to Office 365. Is there any manual or automated procedure to transfer the complete data of Mozilla profile to the Microsoft email client?" The following methods discussed below makes it easy for a user to execute the data to convert Thunderbird to Office 365 in an efficient manner. By using IMAP server, configure Gmail account in Mozilla Thunderbird. Now, make a new folder in Google Gmail after that move messages to be transferred to it. All the messages to be exported in your Gmail mailbox will be present there. Now, configure the same account of Gmail in MS Outlook by using IMAP and POP. Once it is done then, download all mails there. Now, all the data is stored in Outlook PST format. Note: This way can be utilized to move few mails only. This process takes place in two phases, i.e. export Thunderbird emails to EML after that import EML into Outlook mailbox. Choose the messages to be exported from Thunderbird. After that, drag all the mails and drop it into the folder created on the desktop. Open MS Outlook on your machine. Now, navigate to the folder where you need to import Mozilla Thunderbird messages. Drag all the data, which is stored in the new folder on the desktop into MS Outlook folder. Now, all the data is stored in PST format. Note: This process works only with Microsoft Outlook 2010 and its earlier editions. Moreover, though this procedure is free of cost but it is not favored as it takes consumes a lot of time. Once the data is exported into PST format. Now, one can easily upload all PST data files into MS Office 365 mailbox to utilize the data on the cloud. The above- method is quite lengthy as well as time consuming. Moreover, there are the chances of data loss as well by using this process. To overcome the issues faced by the above method, there is a software namely SysTools MBOX to Office 365 Converter. It is an advancedly structured utility that makes easy to import Thunderbird emails to Office 365 mailbox without any hang-ups, flaws, compilations, etc. The application only needs the credentials of MS Office 365 mailbox. The software is simple as well as easy to utilize without any complications. The utility offers numerous of advanced features that make easy for the one to export Mozilla Thunderbird data to OWA account. With the help the utility, one can not only migrates Thunderbird data into Office 365 mailbox but can execute it in bulk amount without facing any hang up experience of system. The application lets you move all Mozilla mailbox emails securely into Outlook online mailbox without challenging you with any difficulty. A user-friendly graphical interface of utility is useful in utilizing the tool with ease as well as understandability. The tool gives an inbuilt date filter to transfer multiple data items by date. One can convert Thunderbird MBOX data into Office 365 smoothly with any version Windows installed on your machine as our tool supports all versions. Permits the data conversion with or without Impersonation. Moving emails is a complex task for users especially for those who are not familiar with technicalities of platforms. Similar is the case for importing Thunderbird to Office 365 mailbox. 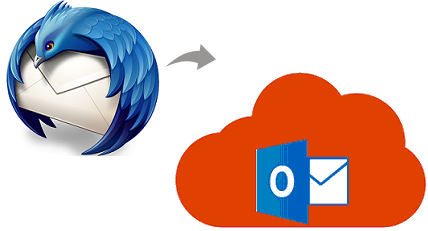 Therefore, we have come up with some ways to move data from Mozilla email account to Microsoft Outlook 365 mailbox.